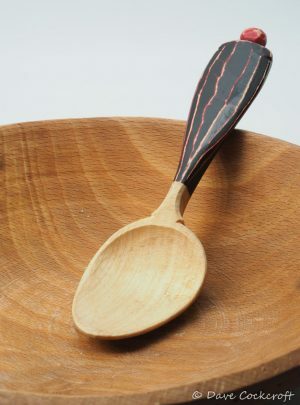 Sycamore (the English version a maple – Acer pseudoplantanus, not American sycamore a plane – Platanus occidentalis) is a lovely wood to carve and dries hard and durable. 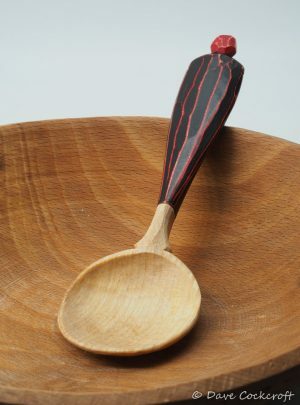 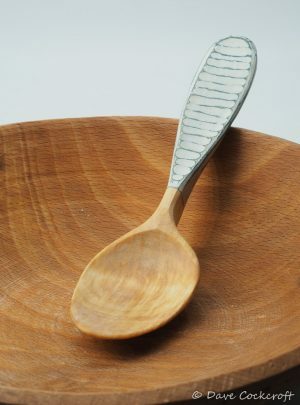 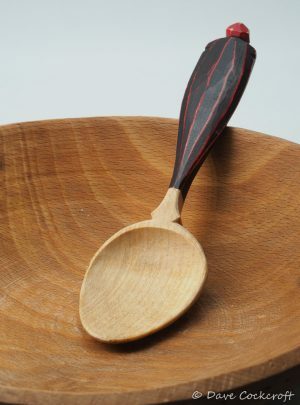 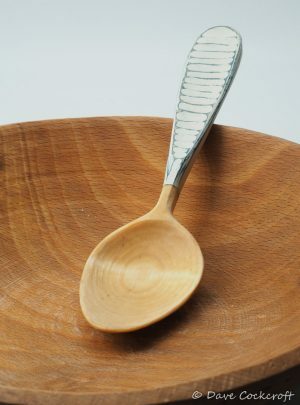 It was the wood of choice for Welsh Cawl spoons and for clog soles in Wales. 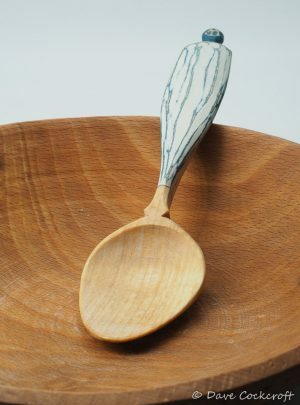 It can have pretty flecking and spalts nicely but is often quite plain and I like to decorate it with either milk paint or chip carving.